Space is no longer a distant and unreachable place. In fact, a new era of business is about to begin. The new space era will make space a natural part of our daily lives and improve our quality of life here on Earth. At Space Nation we believe that the expansion to space is a key moment in human evolution. Travel to space will bring new perspectives, unity and tangible benefits to humanity, the Earth and worlds yet to be discovered. Space Nation is in the process of creating the world’s largest space discovery community on the planet, and bringing space into people’s daily lives in relatable and innovative ways. By providing unique space experiences Space Nation will engage, inspire and educate a global audience. The first step towards this vision is the Space Nation Astronaut Program, which is free of charge and accessible to all. Taking place across several media platforms, the Space Nation Astronaut Program allows people to choose their level of interaction: from active astronaut experience training, taking part in the app’s games and challenges, to competing for the chance to get real life astronaut experiences with Space Nation, and a chance to travel to space – for real. The story of Space Nation is rooted in the friendship of two people, Mazdak Nassir and Kalle Vähä-Jaakkola, whose mutual love for space and shared vision of the future of humanity created a bond between the two. 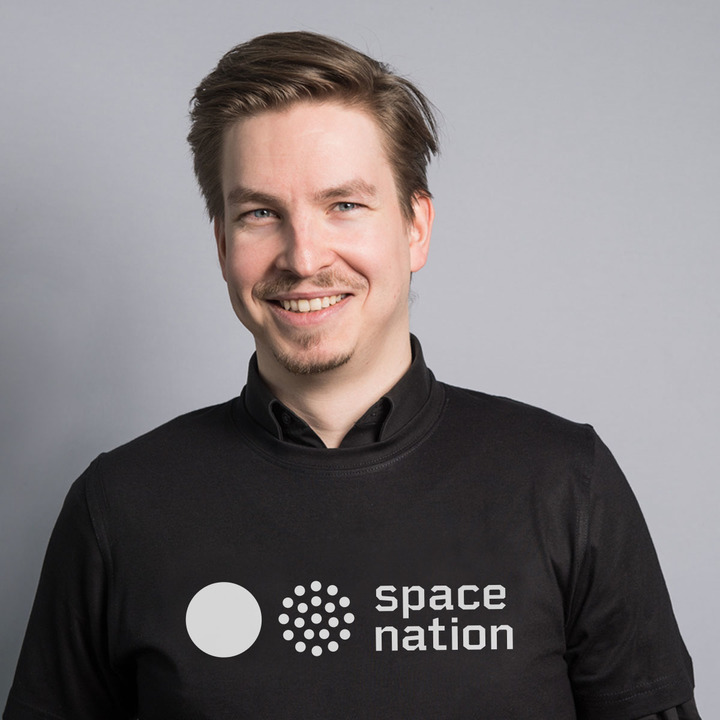 In 2013 Space Nation was co-founded by Mazdak Nassir, an award-winning film director, and Kalle Vähä-Jaakkola, a physicist and the CEO of the company. For Mr. Vähä-Jaakkola it has always been obvious we were going to space – and now this is becoming an increasing reality for all of us. In just four years Space Nation has broken crowd-funding records, acquired a lab space on the International Space Station (ISS) and become the first space member of the United Nation’s World Tourism Organization (UNWTO). This year Space Nation has signed a collaboration agreement with NASA. The company was ranked first in Forbes’ 10 European Growth Businesses to Watch in 2017. And the journey’s only just beginning. To join us for the new space era connect with us on Facebook, Instagram and Twitter! Get insider info and all the latest developments by subscribing to our newsletter. You can also visit www.spacenation.org or simply get in touch at info@spacenation.org – we’d love to hear from you!